Board exam result is certainly the harbinger of little happiness and more pressure! Pressure, not only on the ‘Baccha’ but also on their ‘Janmdatas’. And if the result is below expectations, which 99% of times is below expectations (unless you are ‘the’ Sarthak Agarwal), the ‘Baccha’ turns into ‘Kartyaa’ in no time. And if you’re in Pune, the next thing on the agenda is getting a management seat in PCCOE, RSCOE or DYPCOE! Par isme ‘MIT’ wali baat kaha? And let’s be real, MIT management seat is far away from affordable for the middle class us. And it’s maybe not worth the money they charge. So the ‘not so-mehenga’ and but definitely the ‘not so-sasta’ option is the sister college of MIT Pune, MIT Academy of Engineering, Alandi (D). The campus recruitment is held in the main Kothrud campus for all the students together. As long as you are eligible, you are placed in a decent company. Robocon India. This is the best event of the year and literally our schedules are planned around it. P.S. : This year MITAOE hosts the International Robocon in August. If you are a boy and you plan on staying in the hostel, I’d totally give you thumbs up! The boys hostel (Prayag) is probably the most happening place in Alandi. There’s just one uniform day (Monday). And the college is very particular about the same. It’s a good thing right? The campus is maintained well. Full marks for cleanliness and hygiene. If you plan on staying in Alandi, you better be ready to shun loads of weight. The food is below average. And a decent eatery is as far as 10 km. Non-vegans, kindly accept my condolences to your taste buds. The annual college festival is again average. And ONYX is not the annual college fest as stupidsid.com says. It’s NAKSHATRA. The campus starts and ends in a 7 minutes stroll. (Yes. I have calculated it.) No proper playground. The parking is “okayish” though. The class tests and attendance is not taken very seriously. Wait. That’s a good thing or a bad thing? Well, this was my take on MIT AOE. I have not commented on the quality of teaching because I find it decent. The infrastructure is again decent. Opinions may vary. The part about the population of dogs on StupidSid is FALSE. Mrunal Shinde is an Engineering student at MITAOE. She is 20 and she describes herself as a believer. She believes in fairy tales, she believes in the cruel games of life and she believes in herself. Filmy much? Yeah! That's her. 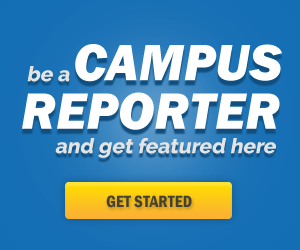 She has a passion for writing and is a contributor to Campus Times Pune. Some of her randomly assorted favourites are: Ian Somerhalder Foundation, Ian Somerhalder, Supernatural, Jensen Ackles, Chace Crawford, That Kiss in the rain, One Direction, Naruto, Death note, Uchiha Itachi. MIT AOE is campus situated in the northern part of Pune near Alandi. 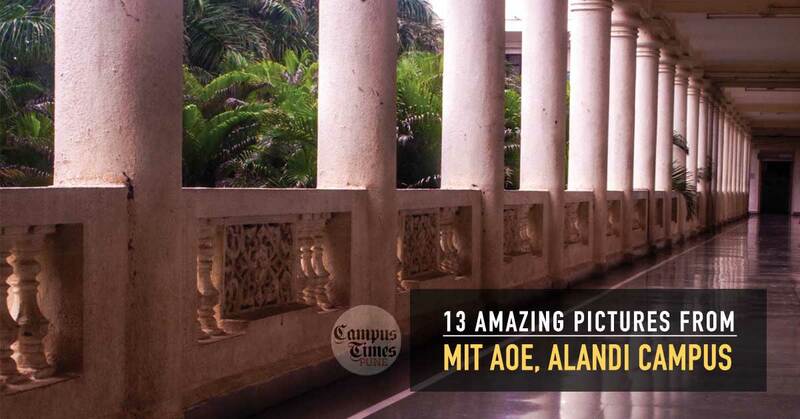 These 13 images will take you on a ride to MIT AOE Alandi campus now!